Keep your residents informed and engaged with an interactive community newsfeed, email, voice, and text notifications, and a calendar of events. Easily broadcast to all your residents or select a subset to announce scheduled maintenance, events, or emergencies. With a centralized inbox, multiple community managers can work as a team to maintain clear communication. 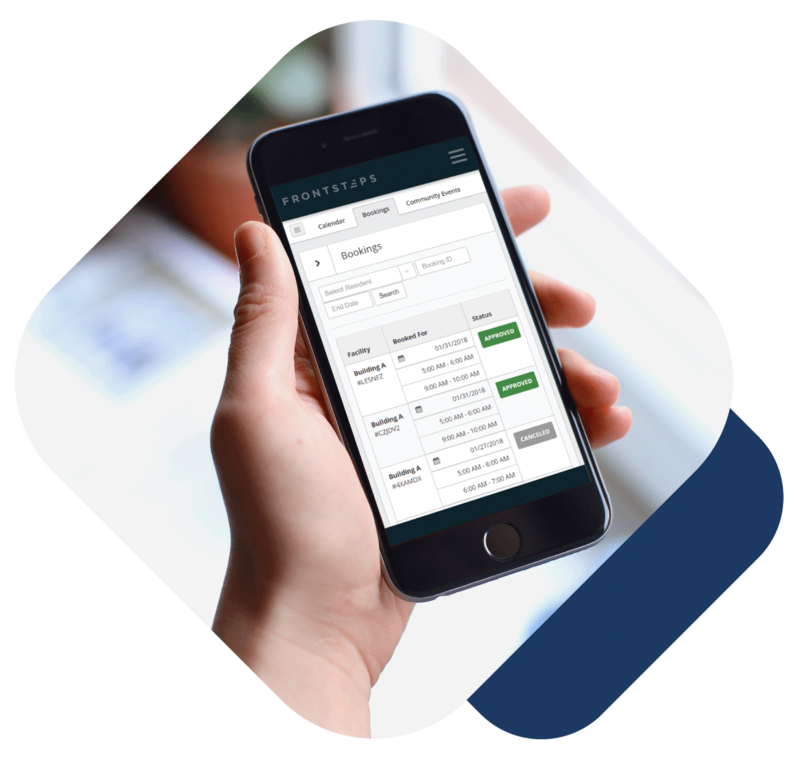 Collect dues and fees payments for a single HOA or multiple properties through one login. Our solution integrates with your accounting software so you get paid faster and spend less time processing paper checks. Through our secure, mobile-friendly payment app, residents can choose from 4 convenient payment options, including recurring ACH that ensures payments are never late. Less work, fewer errors, and automatic deposits. Quickly accept, respond to, and assign maintenance requests using the mobile app. Residents can upload attachments and receive status updates every step of the way until the issue is resolved. Approve or reject reservations for community amenities like volleyball courts and conference rooms. With all requests organized in one place, you can improve response time and resident satisfaction. Gain insight into your community’s activities including how often residents log into your website, view posted bulletins, and request amenity reservations. You can track the number of work orders, response and resolution time, and category type. 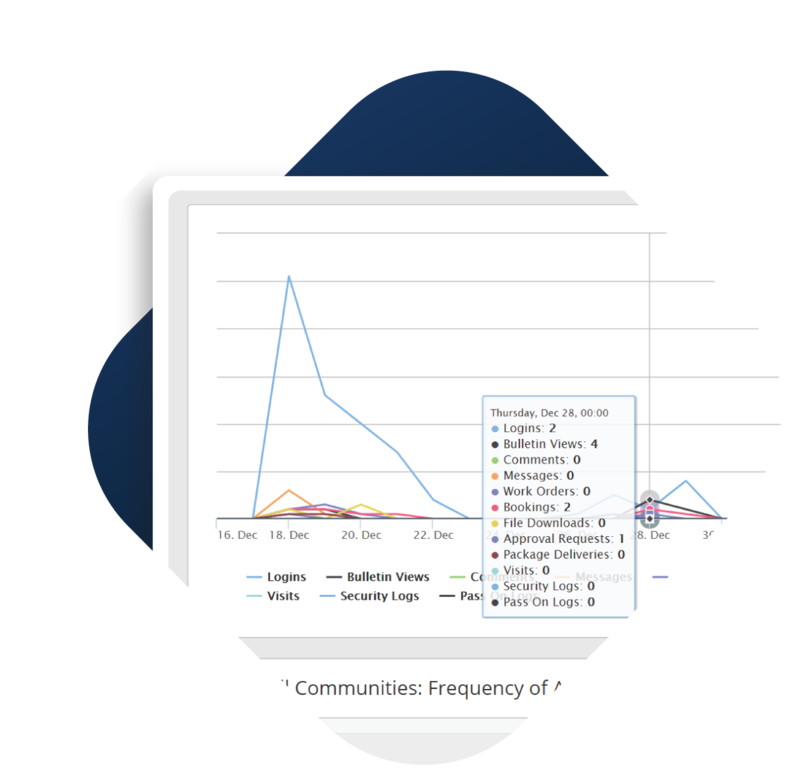 View statistics by individual community or a summary of all the properties you manage. 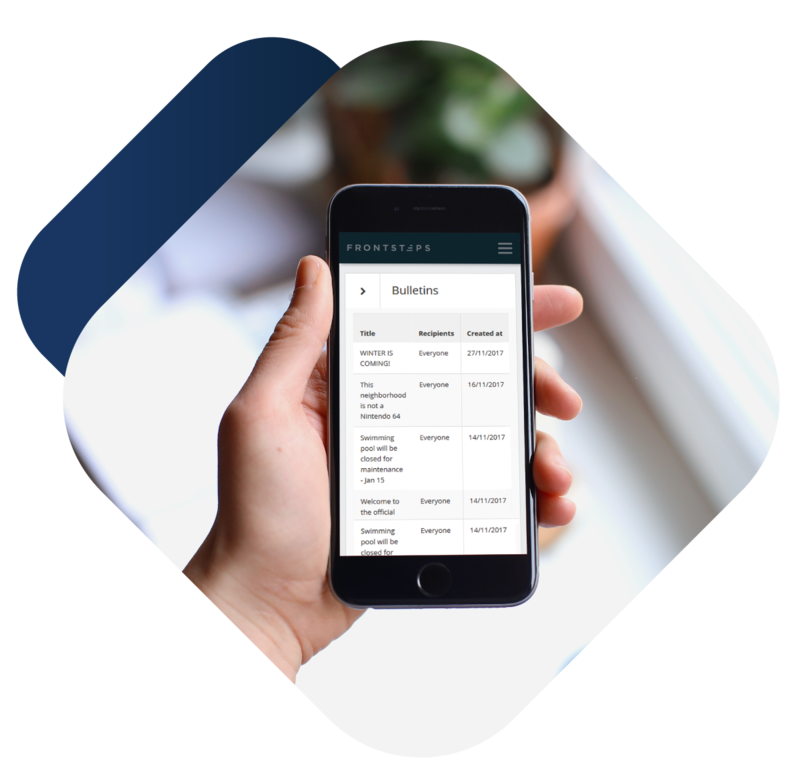 Get quick approval for payments, contractors, and proposals by sharing receipts and documents with board members through the dashboard. Control who enters your community and easily capture visitor and vendor information. Assign parking permits and expedite guest check-in. Get feedback from residents through our digital survey tool. Host board elections, set quorum targets, and see who’s voted. 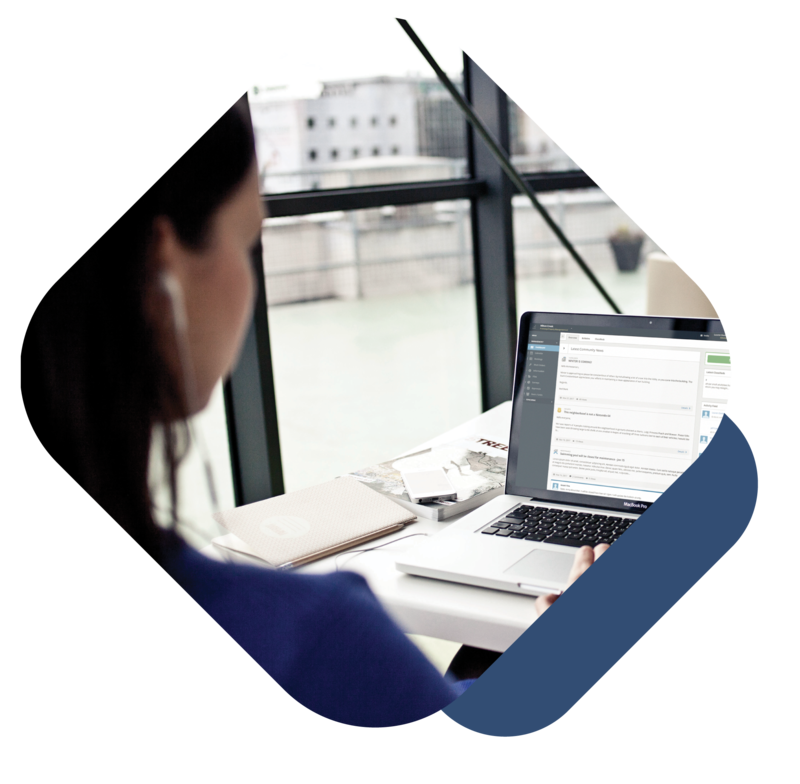 Security personal can quickly create incident reports for managers. Log details about issues like theft, noise complaints, or safety hazards. Keep your community documents organized and available to residents anytime. Set viewing permission levels for complete transparency. Approval for landscape, hardscape, and other enhancements are simple and streamlined. Coming soon!